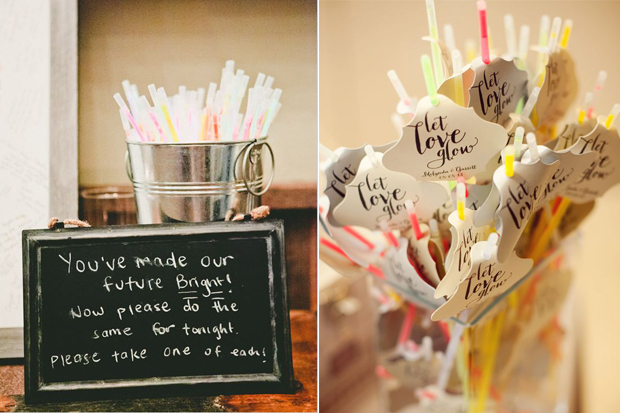 Create the coolest drinks reception with fun party details from personalised napkins and stripy paper straws to cute stirrers. 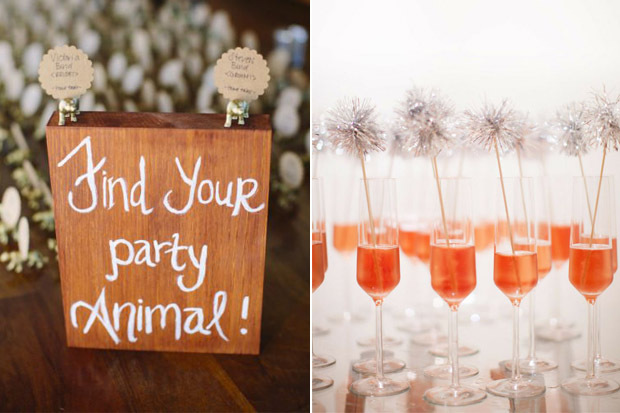 And if you’re looking to have a bit of fun with your decor, create the ultimate party vibe with some party animal place settings! 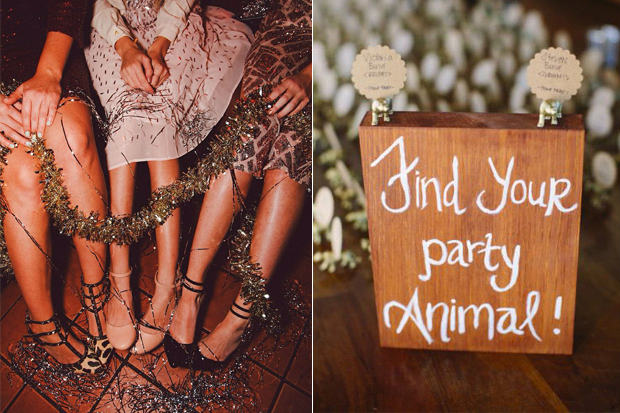 Gather lots of old animal figurines, spray them gold or silver and leave one at each guests place setting. 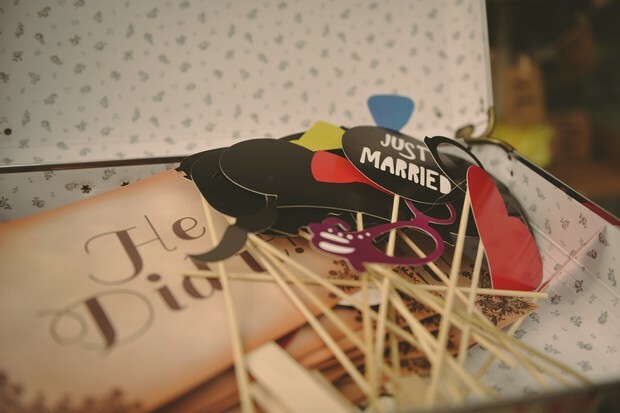 A photo booth is a great way to entertain guests or if you’re looking for guests to have some fun at their tables, leave out party props with disposable cameras so they can pose and snap away. Make sure you get a copy of all the photos by creating your very own wedding hashtag so guests can share their photos on Instagram! This trend made its way in to lots of 2015 weddings and we’re defo going to be seeing a lot of them in 2016 weddings too. 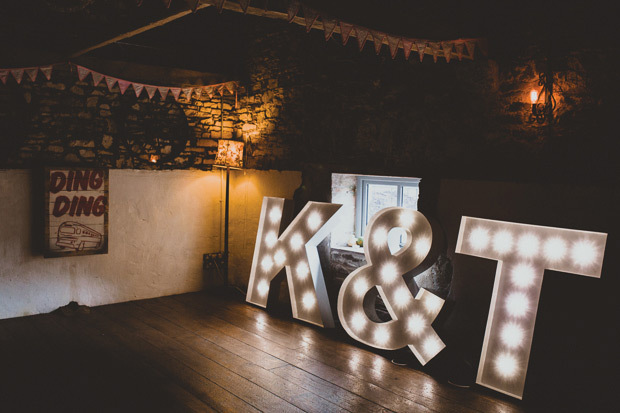 Giant light up letters are all sorts of fun and make for a deadly backdrop (it’s the perfect spot to snap a couple of pics with friends too). They can be hired from Lovin Letters, Giant Letters, Wide Variety and Candylady. Or if you’re after a bit of a statement backdrop, be sure to check out &FÊTE‘s amazing silver sequin backdrop, sure to add to the fun festive vibes. 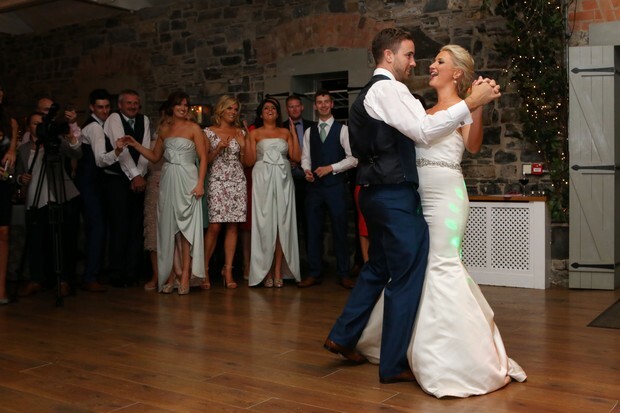 The dance floor is where all the action will happen so make sure it looks the part. 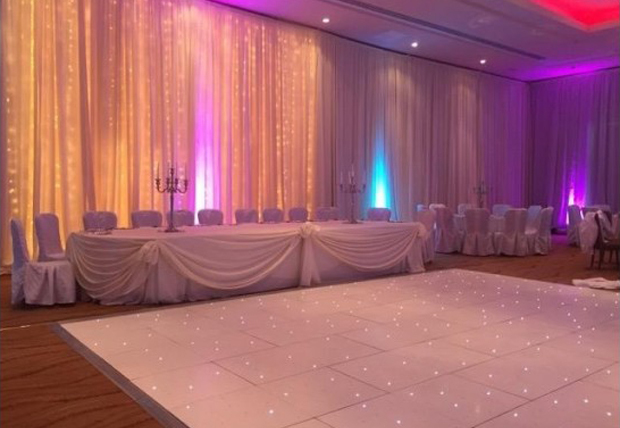 LED dancefloors are an awesome way to add a little sparkle to your reception space and can be hired from Atmosphere Displays, Add a Little Sparkle, LED – World Wedding Lighting, Audrey’s Lighted Dance Floor and Wide Variety. Nothing says party like some glow sticks! They’re the perfect way to end the night and they’ll make for some cool photographs as well. Leave a bunch close to the dance floor so guests can get in to party mode and light up the dance floor. Pick them up in the likes of Dealz for €1.49 for a pack of 20. 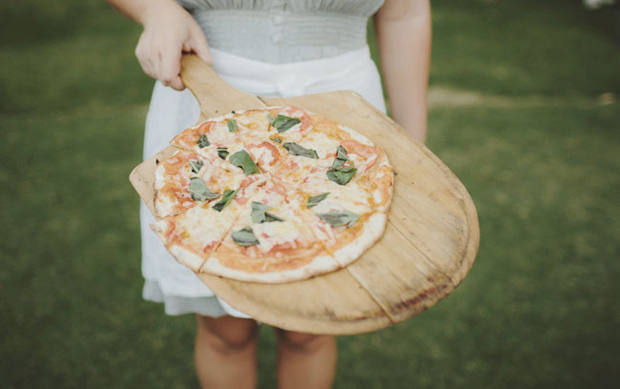 Food and parties go hand in hand whether it’s crisps and salsa at a house party or some cocktail sausages and sambos come midnight at weddings. If you’re looking to get a little bit creative with your late night menu, there are some great alternatives for the midnight feast from pizza slices (check out Wedding Wood-Fired Pizza) and Breton style crepes from Crepes and Craic to The Chip Van which dishes up curry chips, battered Cod and onion rings amongst other mouthwatering snacks. 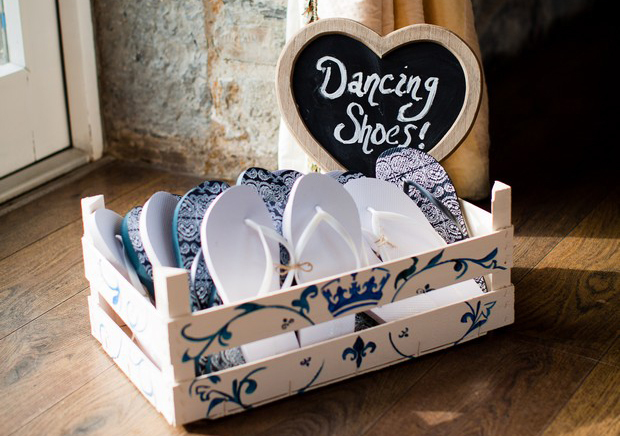 Encourage dance floor antics with a basket of dancing shoes! And of course amazing music is a must – check out our experts top party song suggestions here. Kids love party bags and adults do too. 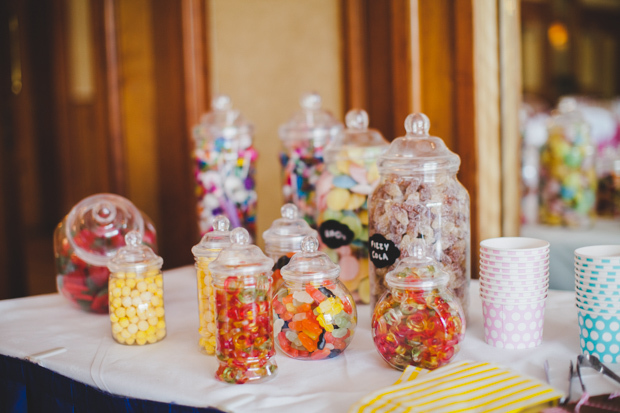 If you’re looking for a fun favour idea, or a sugar station for guests to re-energise post dancing – the candy buffet is it. Guests will only be too delighted to dip in to some of their favourite sweet treats from the 80s and 90s.